Safety and protection are a major consideration when deciding where to have your family home, buy an investment property, or indeed retire. The fulfilment of the Police post renovation in Pacific Harbour has the community an even greater sense of security. Just another reason to buy real estate in Pacific Harbour. Never once giving up on their quest to help Police officers at the Pacific Harbour Community Post, a group of individuals who have worked together since 2007 finally achieved their goal. The group, consisting of a number of residents and business executives in the Pacific Harbour area, put together their resources to renovate the Pacific Harbour Community Post. The renovation work was largely due to the support given by the executives of Dulux Paint, Resort Homes Fiji, Estate Management Services Ltd and the Pearl South Pacific Resort and Spa. 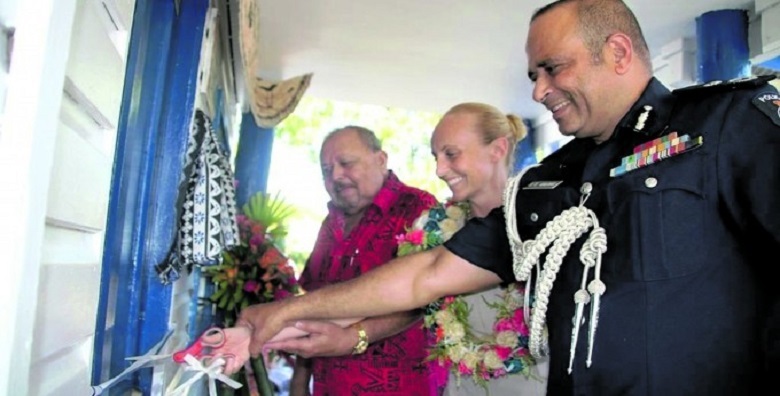 Yesterday, they handed over the newly renovated Pacific Harbour Community Post to the Commissioner of Police, Brigadier-General Sitiveni Qiliho. Speaking on behalf of the group, Estate Management Services Ltd managing director Seth Maharaj said since 2007 they have been fundraising to buy a vehicle for the Community Post and along the way they changed their plans and chose to renovate and extend the current facilities as well as the bure adjacent to the building. “There have been many dedicated officers who have served our community and we are grateful to their commitment and we wanted to assist them in some way. While our initial plan was to purchase a vehicle, we couldn’t quite reach our target so we decided to renovate the post and facilities instead,” Mr Maharaj said. Brigadier-General Qiliho acknowledged the effort and support of the group. “As an organisation our primary role is to serve the community and not be served,” he said. The commissioner reiterated the Fiji Police Force’s goal in 2018 – to re-engage with the community through the Duavata Community Policing arm. “We admit that we need to do more to win the support of the community and while we will not be able to please everyone we will not give up on getting as many people as possible on board in our campaign to fight crime,” the commissioner said. The cost of renovation works on the post was close to $20,000. An attractive and prominent police post gives current residents and future buyers even more confidence in the real estate market in Pacific Harbour.